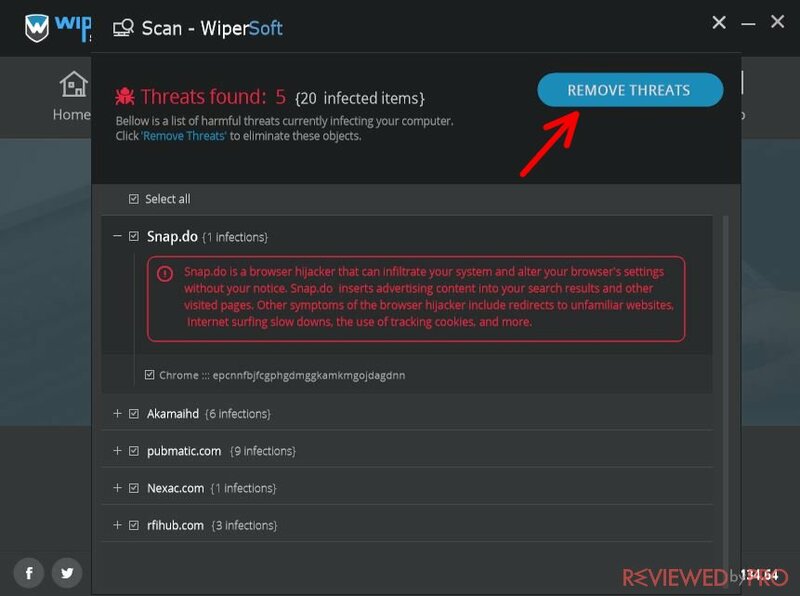 This is a guide to WiperSoft, which is an anti-malware program that is quite powerful and very easy to use. You will be able to learn how to properly download, install and use this software. 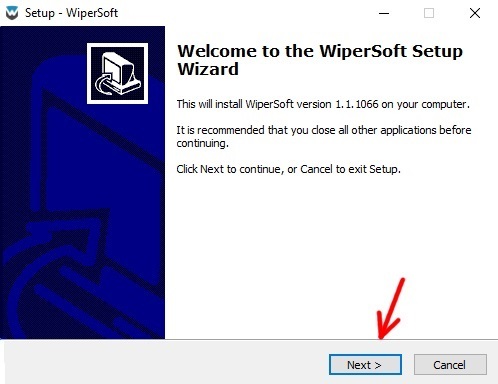 WiperSoft requires Microsoft Windows XP or any later Windows OS version on your PC. The first thing you have to do is to download the application from our page. You will download the WiperSoft installer right away because the installation file is small. The installation is fast and simple – it will take only a few minutes to complete. Open the installer you just downloaded and follow the further steps carefully. 1. In this window, click “NEXT” in order to start the installation process. 4. Here you can choose in which folder you want to create the program's shortcuts. You can simply click “NEXT”. 5. Press “FINISH”. 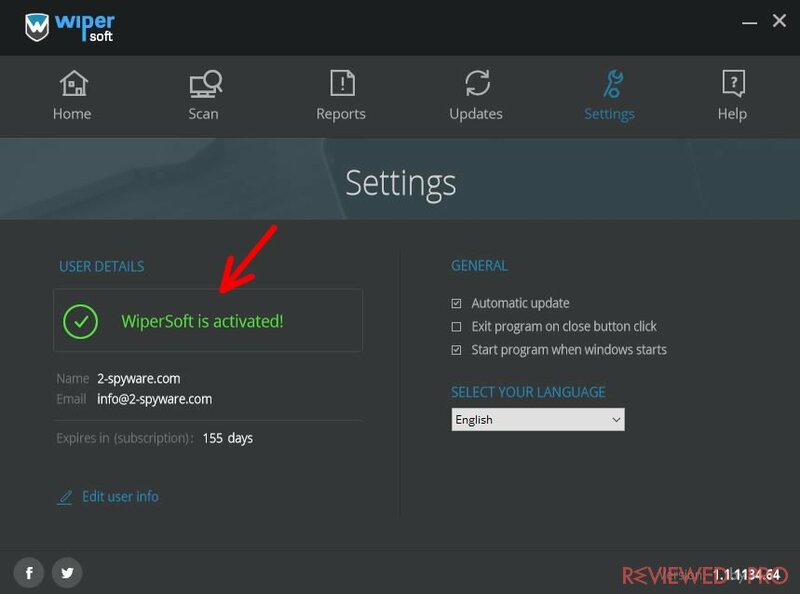 That's it, you have successfully installed Wipersoft anti-spyware! A computer scan will begin immediately after the installation is completed. There are 6 windows in the main program menu, where you will find the most useful and important features of WiperSoft. Home – this window shows a bit of information about your computer’s safety status and lets you complete a computer scan just by pressing one button. Scan – here you can also perform a full computer scan and follow the process of the current scan if it is being performed. 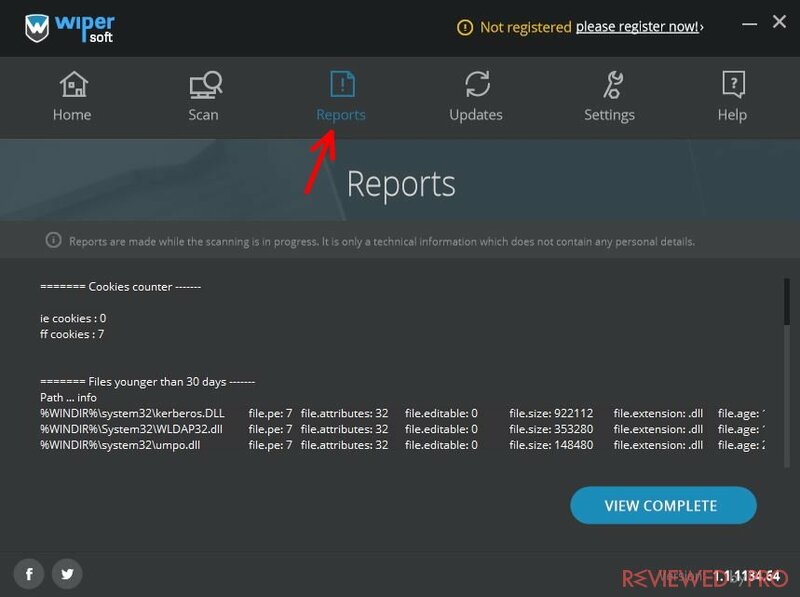 Reports – a very useful window to help you follow, which files were infected during past scans. There will be some very detailed information about each threat found on your computer. 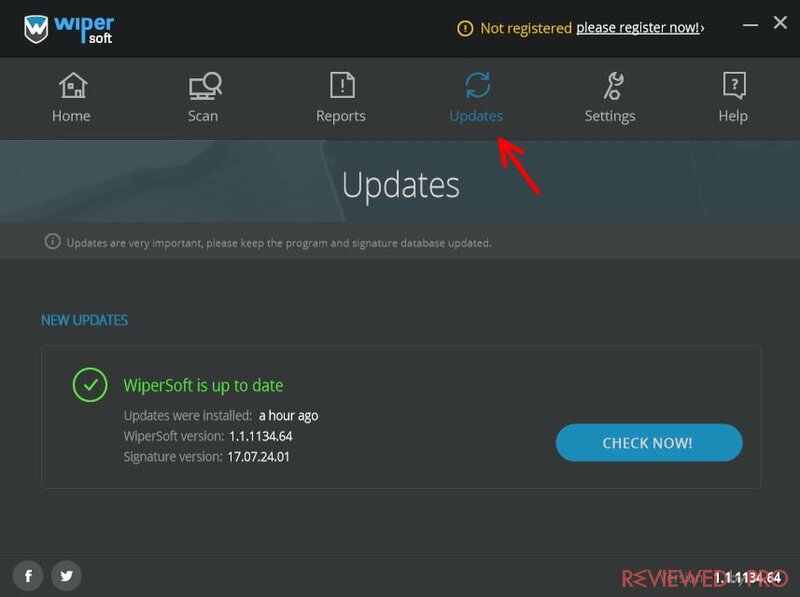 Updates – the easiest way of updating the software – just choose this window and click “CHECK NOW!” to check for the latest updates. Settings – you will find all the available settings and the activation form here. Help – this window doesn’t give any help for you – you will find some information about the company and their software here. 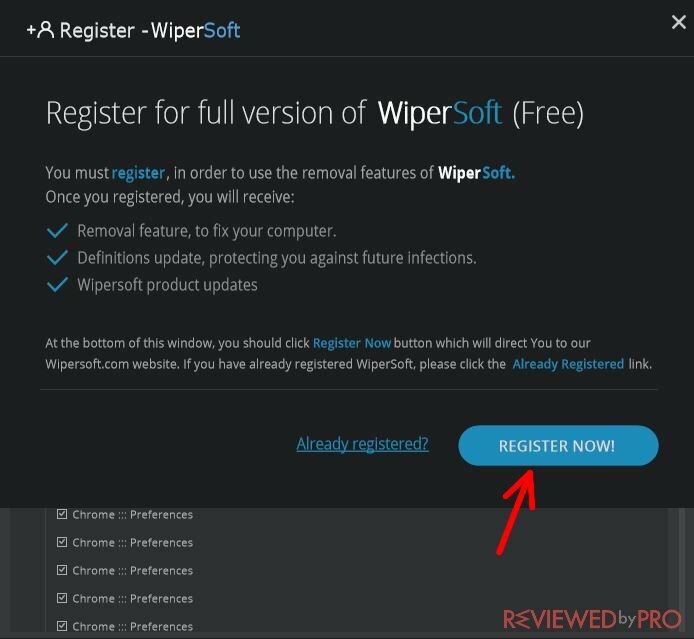 WiperSoft is unique for its simplicity because there are only the most important features and you will not get confused with too many options, which are not important for an everyday user. As this software is created for both individual and business users, it is not complicated and performing a scan is really simple. 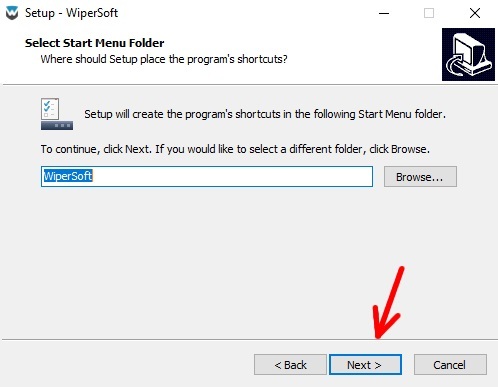 Open the program first and choose the second window, which is named as “Scan”. Click on “SCAN NOW!” then, and a scan will begin instantly. 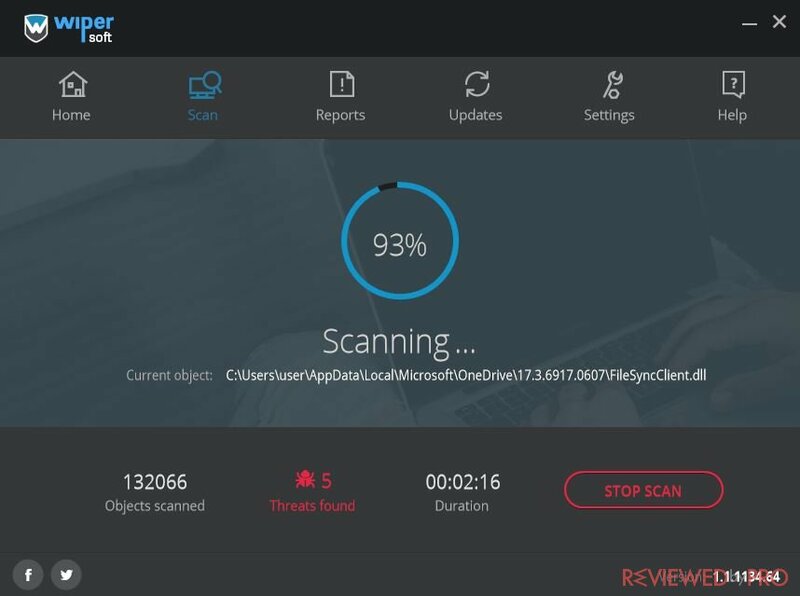 After the scan reaches 100%, your computer will be completely scanned from all kinds of threats. 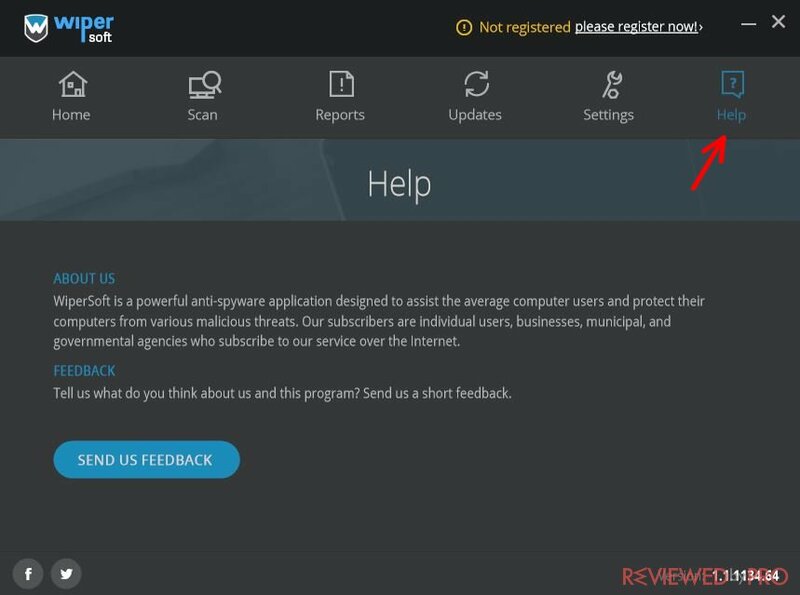 To remove the threats you have to obtain the full version of the program. 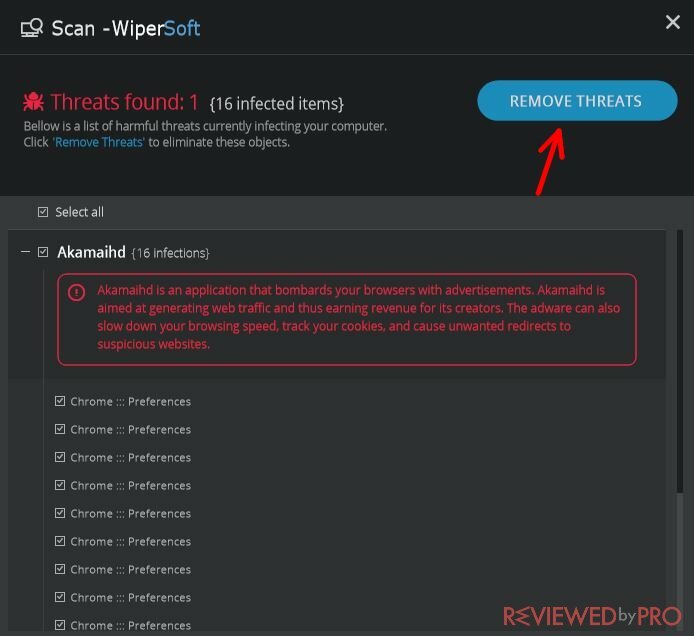 Simply click on “Remove Threats”. Then, you will be redirected to a window with a button “Register Now”. You can click it and buy the full version of the application. 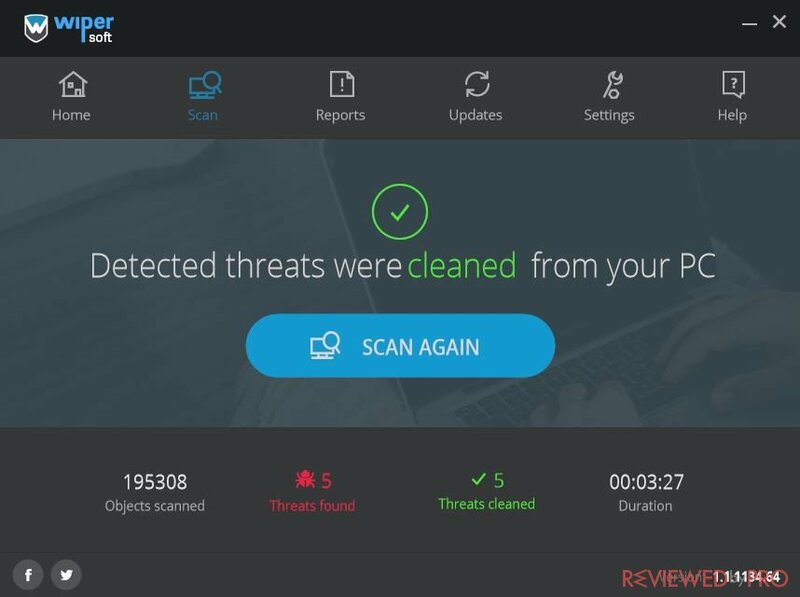 If the program scans your PC and finds threats, you can remove them after the scan is complete. 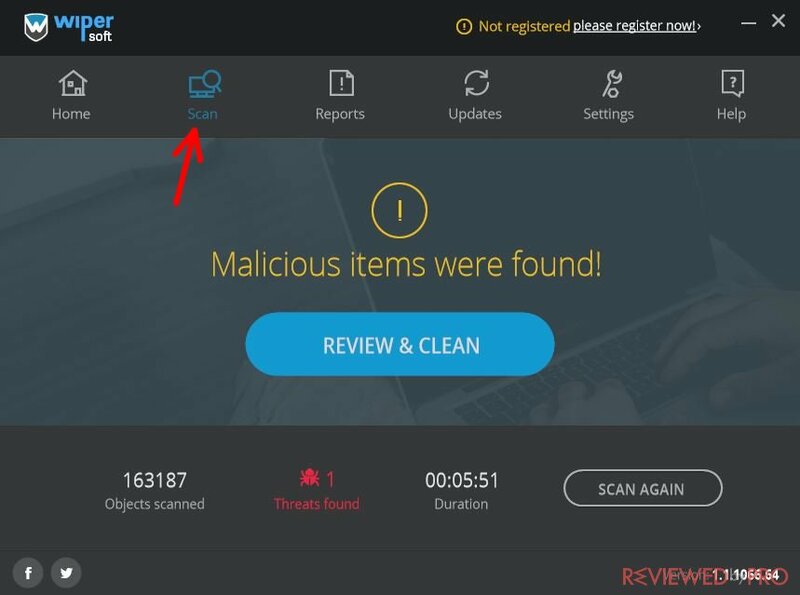 To get rid of the malware, click on Remove Threats. 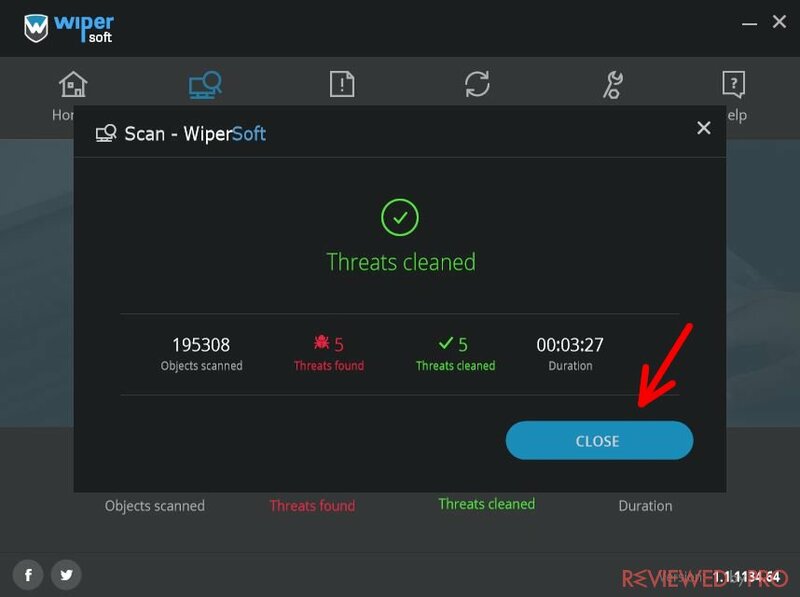 Wipersoft will delete the malware in seconds. 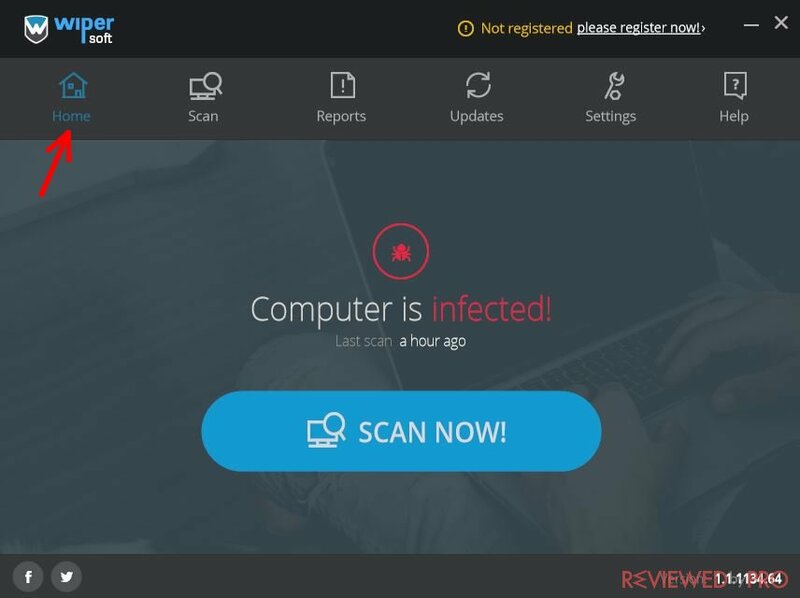 When you want to check you computer again, just click Scan Again. After clicking “Please register now”, you will be sent to the payment window, where you will be asked to choose your payment method and fill in the required information. Then, click on “Process Order” and follow further instructions. 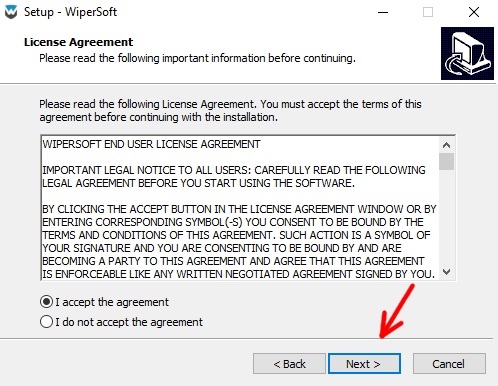 You have successfully bought the full version of WiperSoft!